Two Lakeview residents were robbed at gunpoint Thursday evening on the lakefront near Belmont Harbor, police said. No one is in custody. 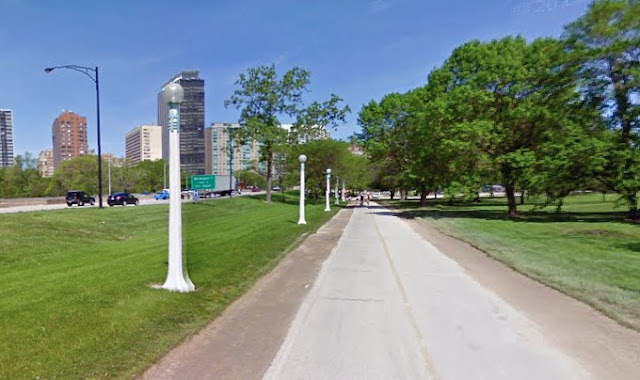 A 25-year-old man and a 26-year-old woman told police that they were east of the bike path near Belmont around 9:10 p.m. when a man approached them and displayed a chrome handgun. The offender, who had a bandana covering his face, demanded the couple’s valuables and then ran westbound with their phone, wallet, and purse. The robber is a black male between 25- and 30-years-old with dreadlocks pulled into a ponytail. He wore a black t-shirt and black shorts, police said. Neither victim was injured during the robbery. Support CWB’s original reporting to receive members-only analysis and services year-round. Subscriptions start at $49 a year or $5 a month. You can also one-time donate an amount of your choosing. Click here — and THANK YOU!